ICZ products are designed for both the commercial and public sectors, and ready to satisfy all your needs related to document management and workflow. For the public sector, there is a document management system complying with valid legislation (electronic filing service, including a reliable register). A guaranteed and long-term archive is provided for long-term document keeping. For commercial organizations, highly functional and efficient systems have been developed; besides documents, they also manage processes (system workflow). Document management systems bring you many benefits. With regard to security, the most important ones are securing access to selected documents, tracking individual changes, and prevention of data loss. User comfort is ensured through rapid searching, processing automation, document versioning, ability to share documents and data from a single place, unified publishing, and unambiguous data structuring. With the use of a document management system, one of the most important areas of your business will be under control. The related ICZ products listed below provide solutions for any company or organization. However, the choice is not limited to this list since the specific systems can be fully combined or even customized. Gain complex overview of your documents and data they embrace. Automated processing and approving of documents and tasks in accordance with beforehand defined rules. Digitize paper documents fast and easy. Benteler, which focuses on manufacturing welded automobile parts, has initiated the digitalization of its archive of manufacturing and operating documentation. The ICZ DESA system has been implemented in several Prague city districts as the target system for storing digitalized documents of a building archive which contains the entire building documentation for the real estate in the territory of the city districts. The services provided included the delivery and implementation of the Electronic File Service and electronically controlled document management. The implemented solution increases the efficiency of the working procedures, facilitates work with the documents, and last but not least, saves both the time and costs of the health insurance company. The aim of the project was to automate and clarify the activities related to document administration by creating a software and application infrastructure for monitoring the creation, registration and administration of documents. 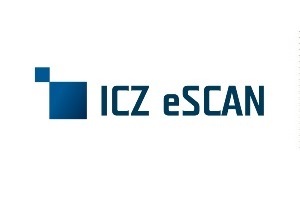 By implementing the ICZ e-file solution in the company of Západoslovenská energetika, a.s. (referred to as "ZSE"), the activities related to the administration of the documentation were automated and clarified in three divisions of the company. The given solution ensures the saving of documents in one place for all applications in the environment of health insurance company. 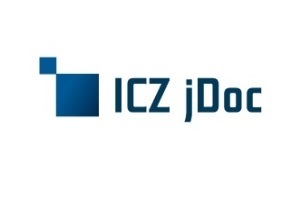 ICZ Slovakia implemented several solutions in the Dôvera health insurance company, which led to its computerisation and to the creation of a so-called paperless insurance company. The aim of the solution implemented was to enable the efficient administration of documents with the emphasis on its integration both with the tools for document creation (MS Office and AutoCAD) and with the electronic mail system. The solution secures the filing of paper documents, their subsequent digitalization, and the circulation of the document in a paperless form. 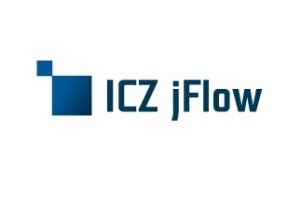 ICZ Slovakia designed and implemented a solution thanks to which the entitled staff from subsidiaries all over Slovakia gained quick and effective access to all the contracts and other documents of clients. Thanks to the implementation of the project comprising the automated recognition of paper forms and the subsequent processing and management of electronic form circulation, more than two million document pages are digitalized in the company per year. The aim of the project implemented in dm drogerie markt was to make the activities related to document administration automated and clearer through the creation of software and an application infrastructure for monitoring the creation, registration and administration of documents. An innovative service that allows for the more flexible imposition of alternative sanctions (such as home arrest).